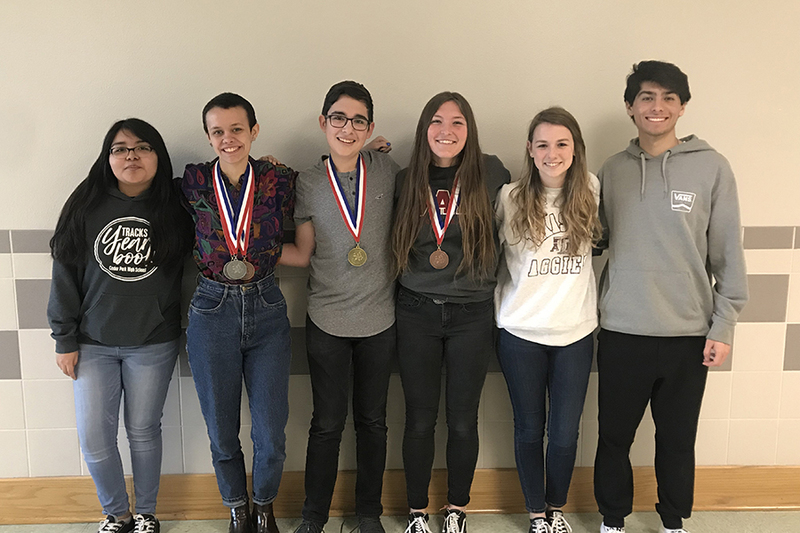 At UIL Districts, the UIL Journalism team had two students, freshman Tristan Hernandez and senior Deana Trautz, advance to Regionals. 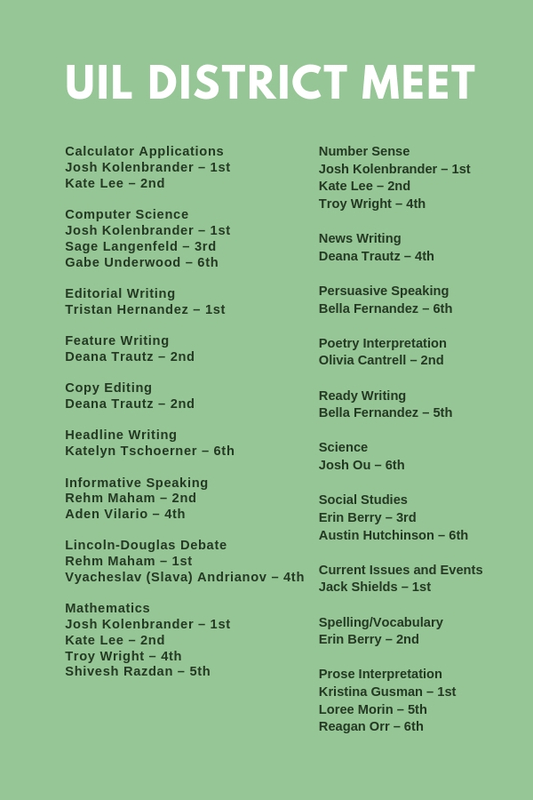 Over the last weekend of March, members of the science, math, social studies, journalism and speech and debate teams competed in UIL at the district level at Cedar Park and other Leander ISD high schools. Out of these students’ 32 placements in the top six, there were eight first-place rankings and 18 advancements to Regionals that will take place this weekend. Junior Kate Lee competed in Mathematics, Number Sense and Calculator, and placed second in all three events. 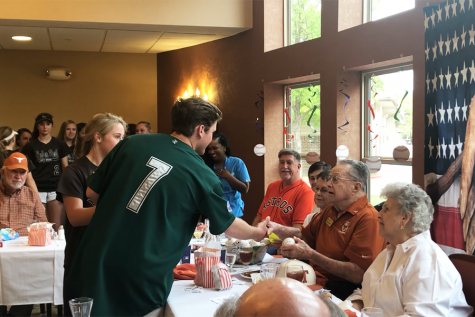 To prepare for her contests, one of which involved mentally solving 80 questions in 10 minutes, Lee said their team captain, senior Josh Kolenbrander, taught her math tricks to help her improve her skills. Third-year UIL competitor, senior Olivia Cantrell, competed and placed third in Poetry Interpretation, in which competitors are given the freedom of creating their own selection of poetry and then present it to a panel of judges in seven minutes. Cantrell said for this event, she is critiqued upon delivery, content, voice and presentation. 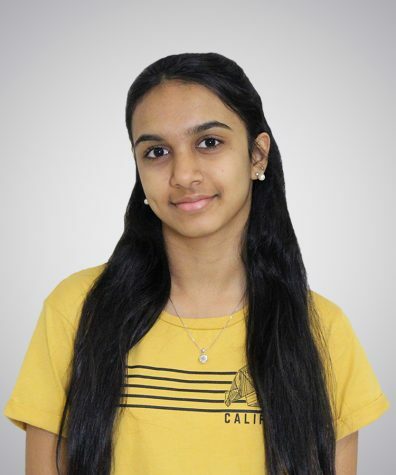 While some students only compete in specific types of events, junior Erin Berry competed in Spelling and Social Studies, both of which she advanced to Regionals in. To prepare for Regionals, Berry said she has been reviewing the UIL Word Power packet that contains competition information and a list of vocabulary. She has also been reviewing speeches, legislation, court cases and required reading material for Social Studies.